Steel is the most common material to connect glass elements. Think about Spiderglass façades which are connected with stainless steel members. Those steel members should often be as small as possible. We always try to find maximum transparency. But why are we trying to eliminate the steel, if much more interesting structures can be realized by doing the exact opposite? What if we take a large scale steel structure and turn it into an impressive slender design, just by adding glass elements? We combined steel and glass before. 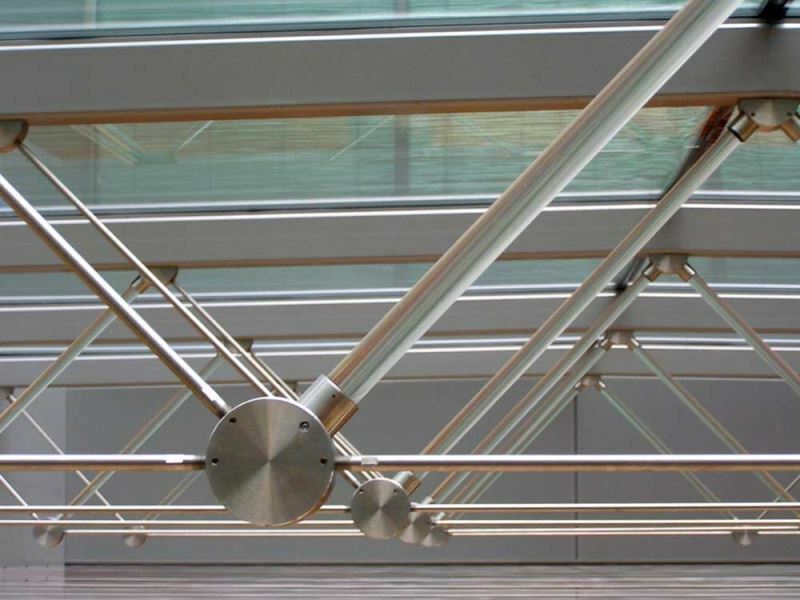 For example in the Swiss Life office in Amstelveen (NL) with glass compression members in the roof trusses. But still I was wondering myself why on earth we apply diagonal braces into facades, if at that location glass could be used? The building stability could then be provided by the glass because the glass façade is there anyway. Glass would become a member of the overall building structure. To prove this is actually possible, the idea has been realised in restaurant ‘De Boerderij’ in Arnhem, The Netherlands. 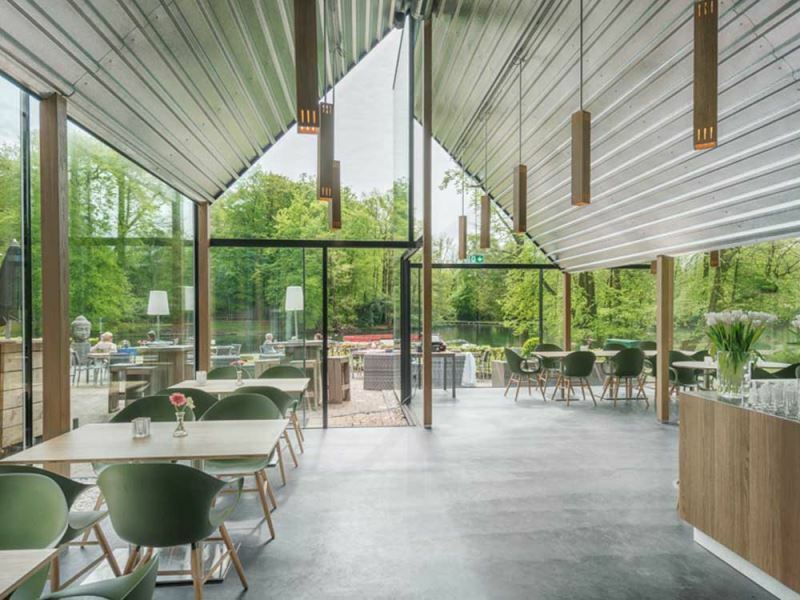 The restaurant is a pavilion for which NEXIT architects suggested to use as slender columns as possible, in order to maintain the free view on the surrounding Park Sonsbeek. It might be clear that braces in front of the glass façade were not an option. At this point we proposed using the in-plane capacity of the glass to stabilize the steel structure. It took some advanced calculations, but we managed to remove all the bracings, while maintaining the regular glass thickness! Thinking about this project, I would like to ask every architect to rethink about steel structures and glass surfaces. When those two materials melt together in structures, incredible things can happen. I would like to call it ‘glass-reinforced structures’. Also in infrastructure-related projects there are many possibilities, like is shown with the in-plane loaded glass in the Gouda train station canopy. Less steel, more transparency. Let's get back to my question: what if we could start with a large scale steel structure, and turn it into an impressive slender design? Sent me a sketch and we’ll find you a transparent solution. Steel structure building depends on the structural planning so it is effective way to plan.